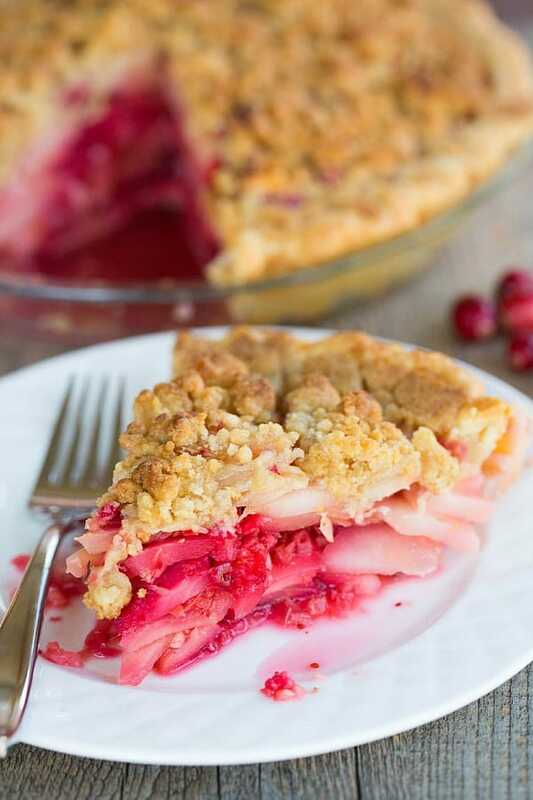 Home > Seasonal > Thanksgiving > 29 Thanksgiving Desserts Worth Saving Room For! A collection of the BEST Thanksgiving desserts! 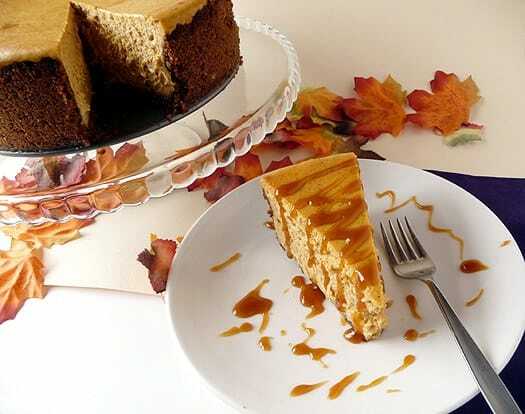 We have everything from the classics like pumpkin pie, pecan pie, apple pie and pumpkin rolls, to other popular desserts like pound cakes, sparkling cranberry cupcakes, pumpkin dump cake, caramel apple cheesecake pie, and more! When it comes to Thanksgiving desserts, are you 100% traditional? 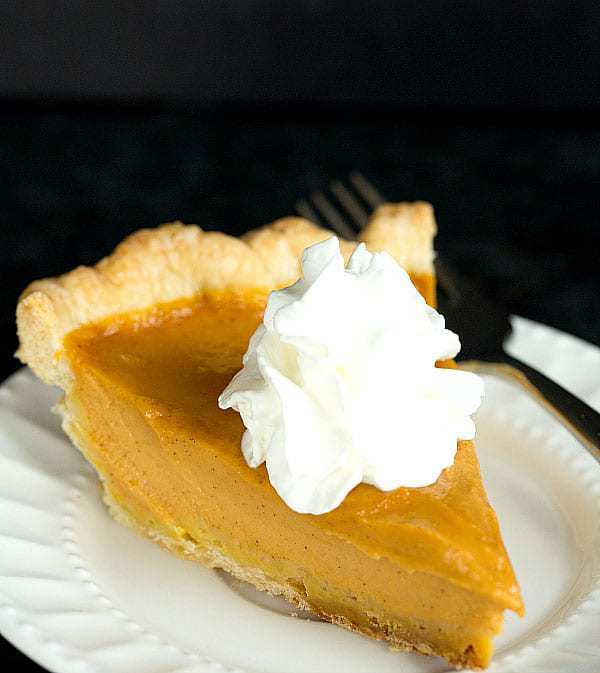 Do you serve pumpkin pie every year? Or do you like to look for something new each year? 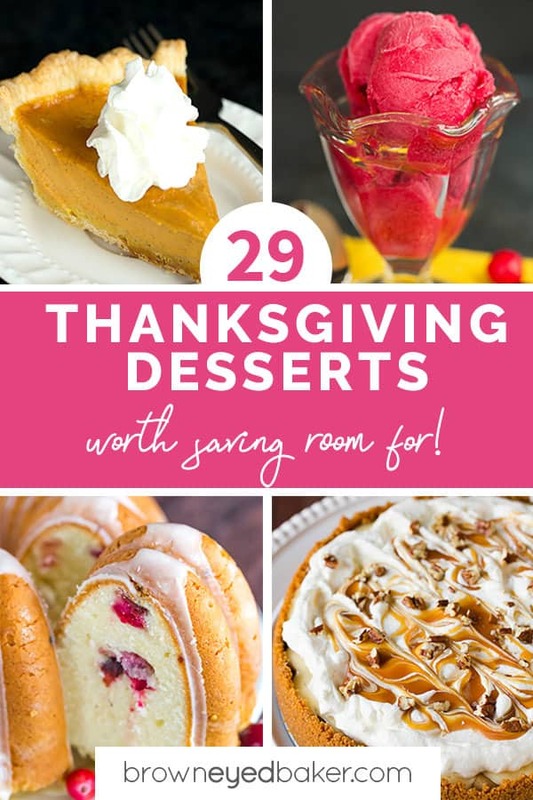 No matter what your Thanksgiving dessert style is, I have you covered! There are tons and tons of classic recipes, along with new and fresh spins on flavors like pumpkin, cranberry, apple, and pecan. 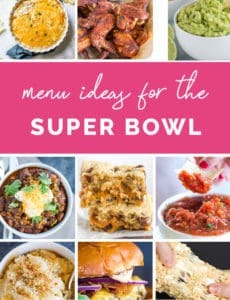 There is definitely something here for everyone, and I hope you enjoy browsing the list! Now, on to the Thanksgiving desserts! 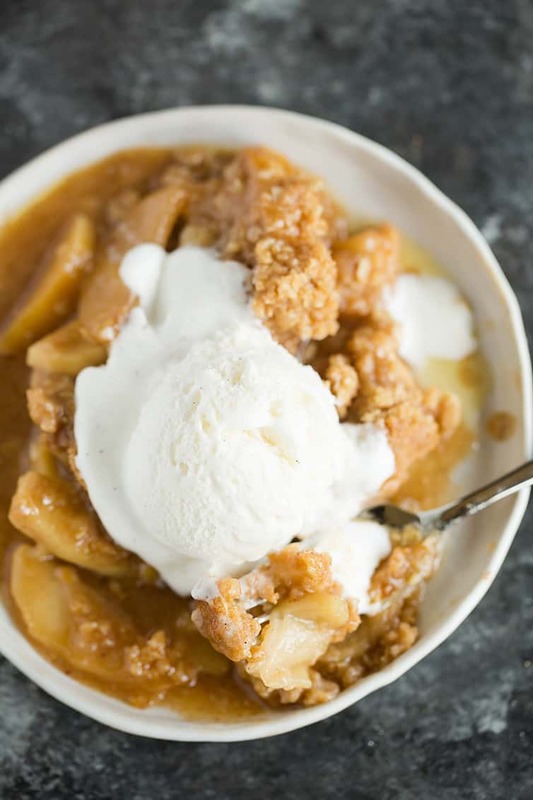 This is the absolute BEST apple crisp – super intense apple flavor, a thickened sauce, and an oat streusel topping. Totally deserving of a holiday dessert! A classic! 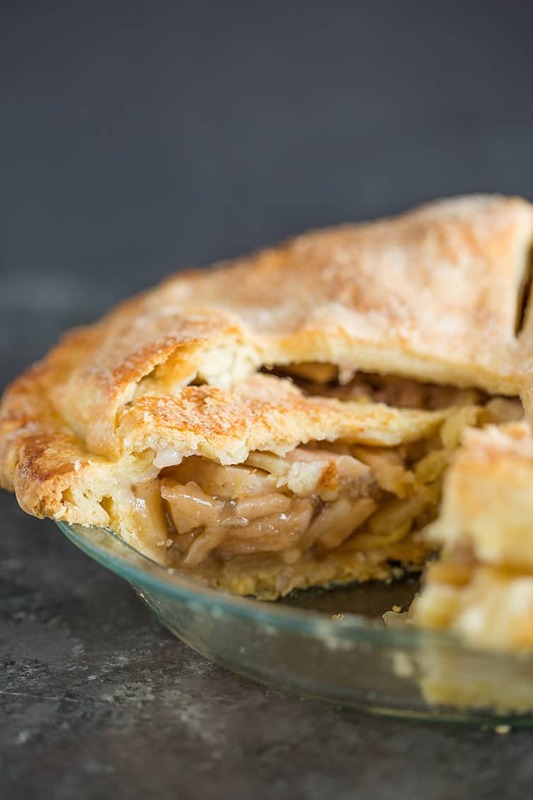 My favorite pie crust packed full of a variety of apples with warm spices. Don’t forget the vanilla ice cream! I didn’t realize how many people made banana pudding for Thanksgiving dessert until I saw the masses flocking to this recipe last year! 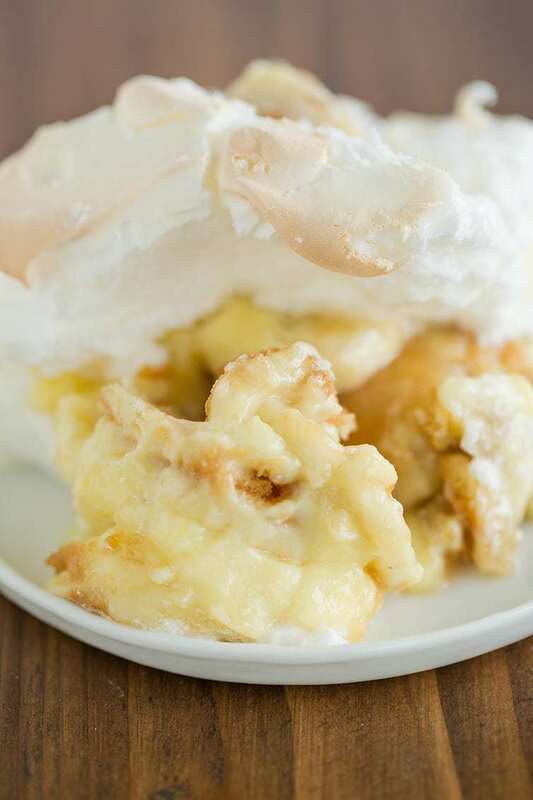 This classic Southern banana pudding starts with a layer of Nilla wafers, sliced bananas, homemade vanilla pudding, and is topped with piles of meringue. Eat it warm (the Southern way), or after it’s been chilled! I will ALWAYS choose carrot cake for dessert if it’s presented to me on a dessert menu, so I naturally think it’s a perfect choice for holiday dessert. 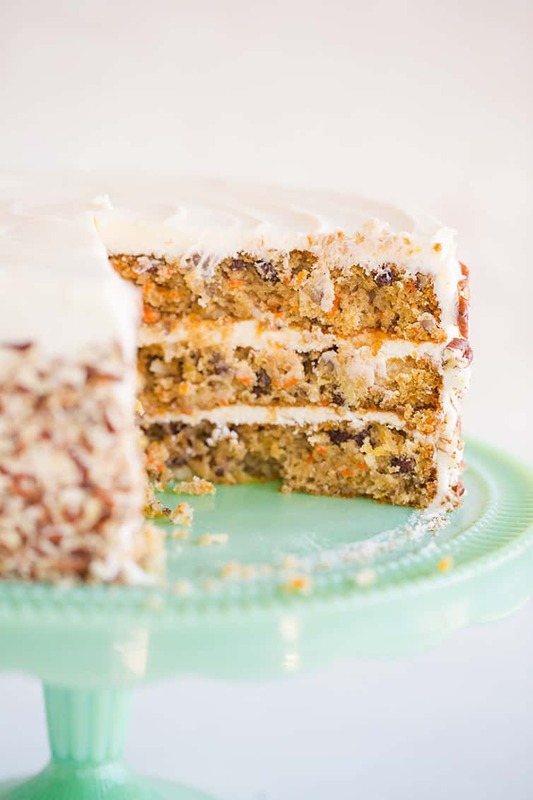 This one is full of carrots, pineapple, raisins, coconut, and pecans, and layered with cream cheese frosting, of course. Another new-to-me Thanksgiving tradition, this pie is part-pudding, part-brownie, and all it needs is a simple dollop of whipped cream on top. I love throwing a chocolate option into the Thanksgiving dessert merry-go-round. Super festive! 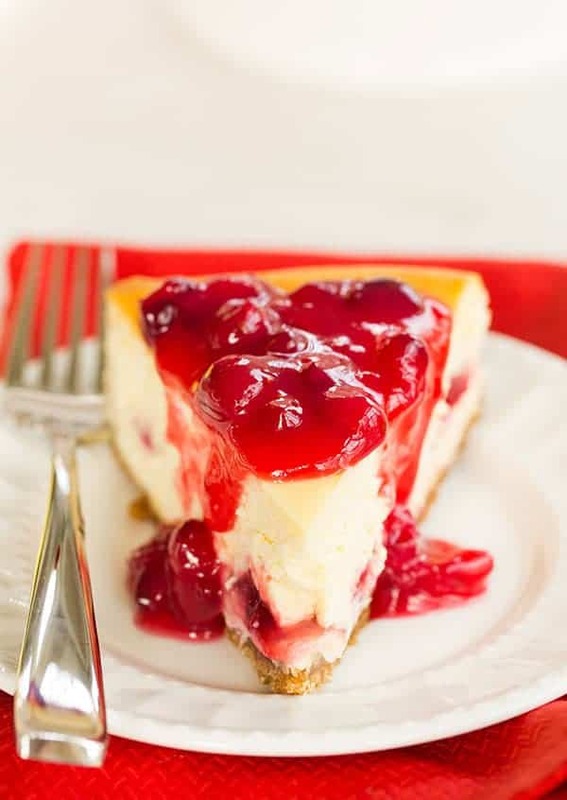 Creamy cheesecake spiked with eggnog and topped with a fresh cranberry sauce. Pears don’t get nearly enough attention when it comes to dessert; apples totally steal their thunder. This pie is bound to make you a pear fan for life – sweet, juicy pears are paired up with tart cranberries and gingery spice, and baked up under a crumble topping. The ultimate make-ahead dessert! 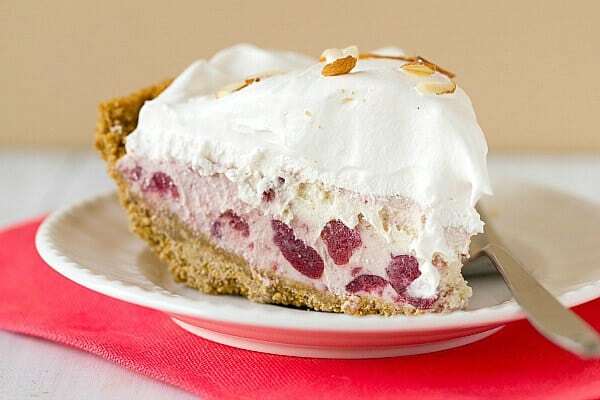 Start with a graham cracker crust, then stir cranberry sauce into vanilla ice cream and top with whipped cream. 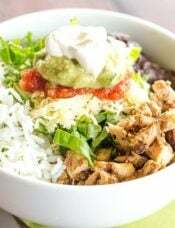 A light and fresh option for capping off the Thanksgiving meal. 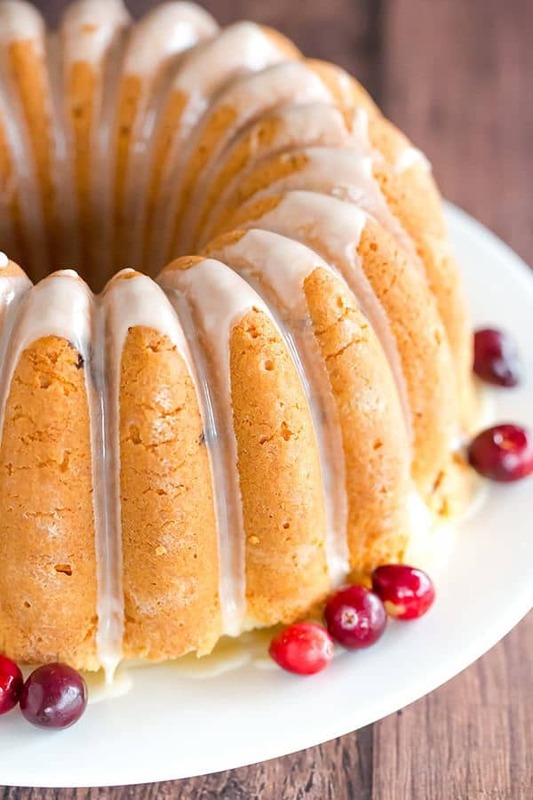 This cranberry pound cake is wonderfully dense, moist and loaded with fresh cranberries. Topped with a simple orange glaze, it’s perfect for the holidays. I adore the intense color of this brightly flavored, slightly sweet and slightly tart cranberry sorbet. If you don’t like heavy desserts after a big meal, a scoop of this sorbet would be perfect! 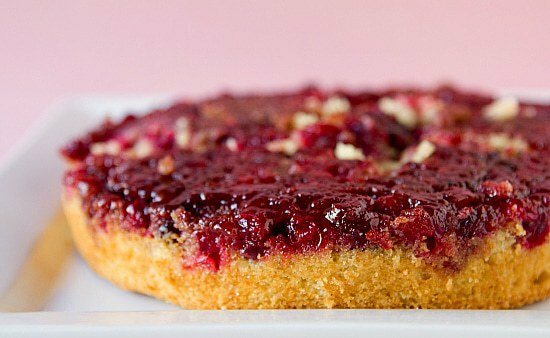 A seasonal riff on the traditional pineapple upside-down cake, a simple vanilla cake is baked on top of fresh cranberries, then turned upside-down after baking. Growing up, Thanksgiving was a HUGE holiday. Members of my grandfather’s family from Chicago and Wisconsin would travel here for the holiday, often times for the entire week, or longer. My grandma cooked and baked up a storm, and one of my favorite memories is her stockpiling an insane amount of containers with these cookies. 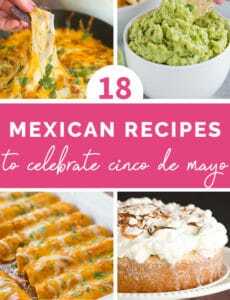 She would sometimes tint the icing different colors to make them more festive, and they were always around in abundance leading up to (and after) Thanksgiving. The seasonal flavors of pumpkin and maple are combined with the creamy texture of cheesecake in a portable bar dessert – eat it with a fork or grab one to nibble on while you watch football on the couch! Another classic! 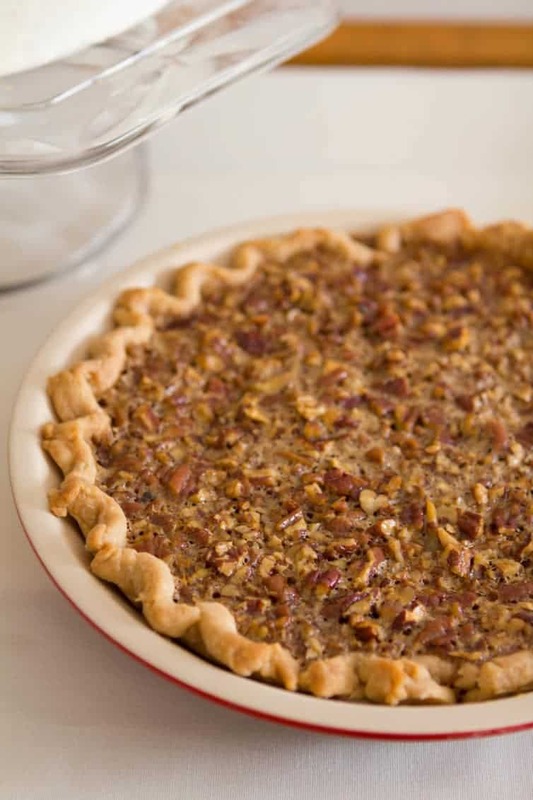 Probably my top two or three favorite pies of all-time, I will always, always, always take a slice of pecan pie over pumpkin. Tons of chopped pecans are stirred into the filling so you can them in every single bite. 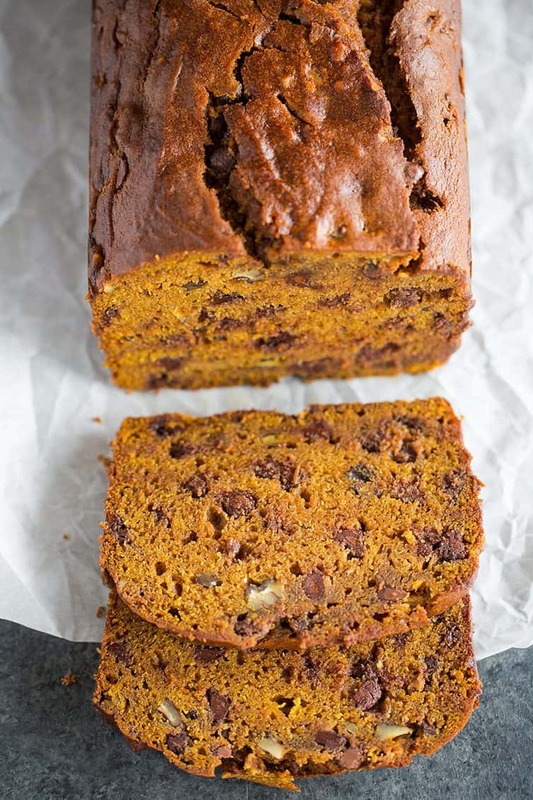 The best pumpkin bread I’ve ever made! 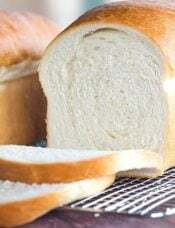 A loaf of this sliced pumpkin bread would go so nicely along with your favorite pies. Save the recipe and bake up some mini loaves for Christmas gifts! 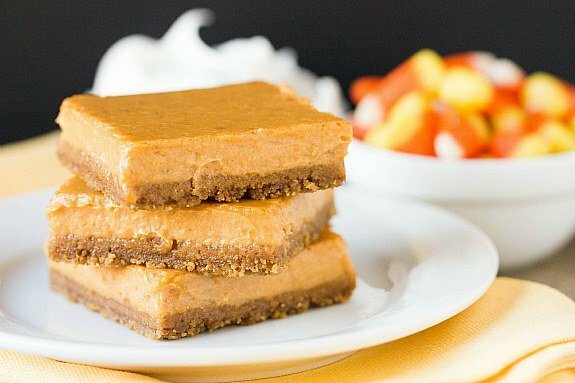 One of the ultimate pumpkin desserts! 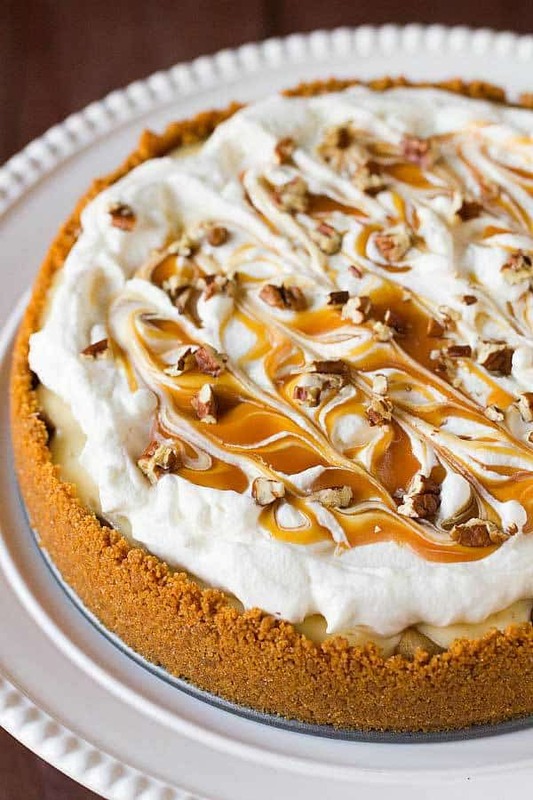 Creamy cheesecake meets pumpkin and fall spices for an incredible Thanksgiving dessert. 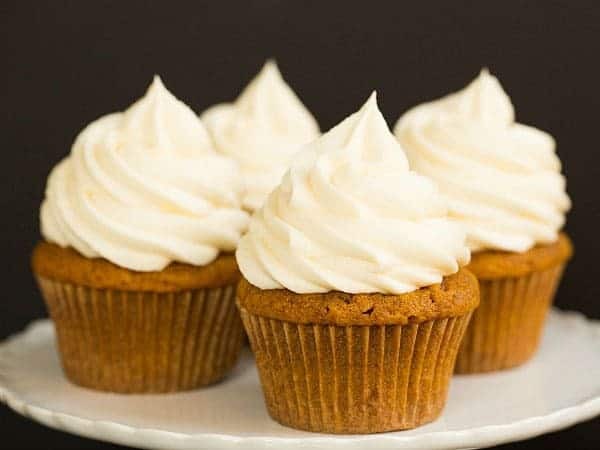 Super moist, fluffy, and packed with pumpkin and spices, these cupcakes are topped with swirls of cream cheese frosting. You can’t go wrong with these! 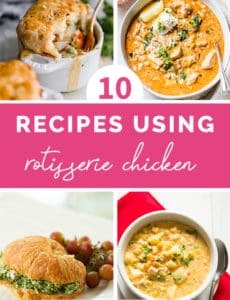 I first made this recipe maybe 15 years ago, and everyone loved it! 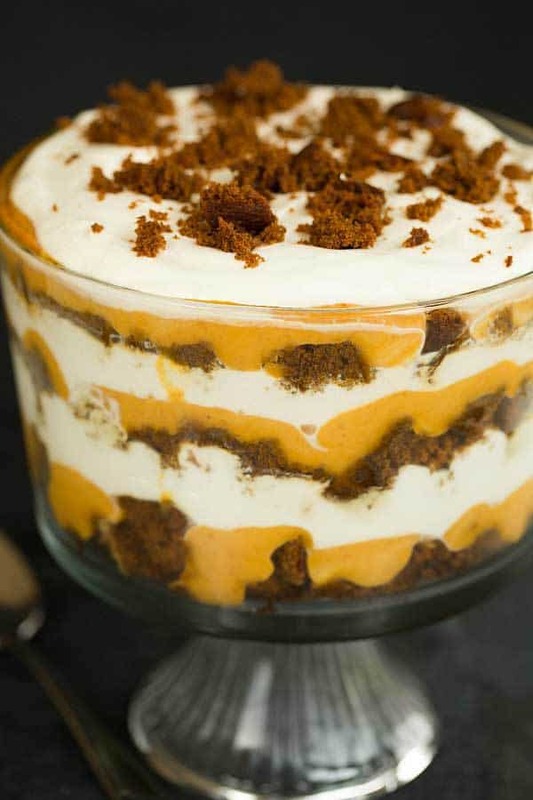 Layers of pumpkin mousse, cubed gingerbread, and whipped cream is a fantastic pumpkin dessert option and feeds an absolute army! Serve up scoops of this seasonal ice cream after dinner; it would be wonderful with crumbles of gingersnap cookies, or use it to make ice cream sandwiches with your favorite ginger, snickerdoodle, or sugar cookie! The ultimate in Thanksgiving desserts… most houses HAVE to serve up at least one pumpkin pie, and this is, by far, the best recipe I have ever found. 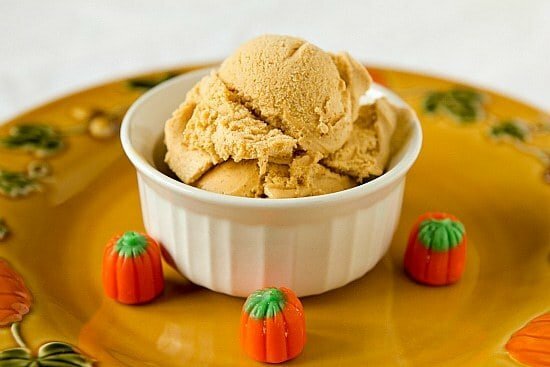 The texture is super creamy and it is perfectly sweetened with a clean pumpkin flavor. 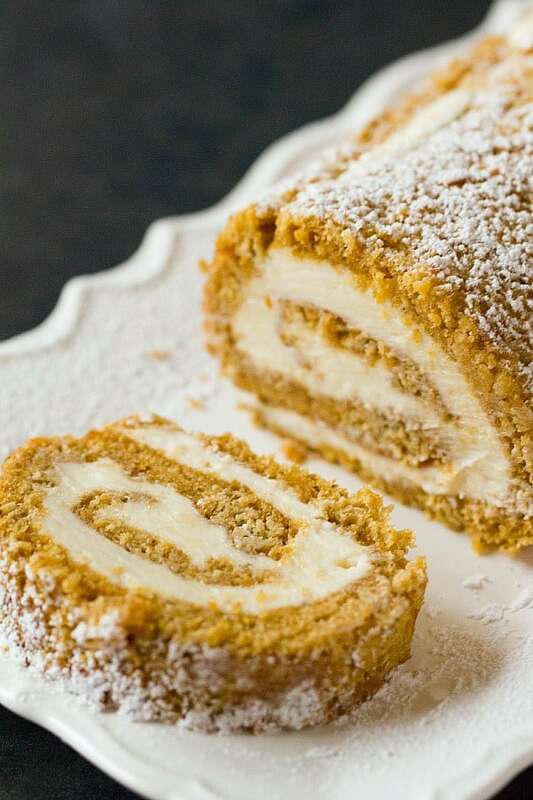 I remember my aunt bringing a pumpkin roll to my grandma’s nearly every single year for Thanksgiving. 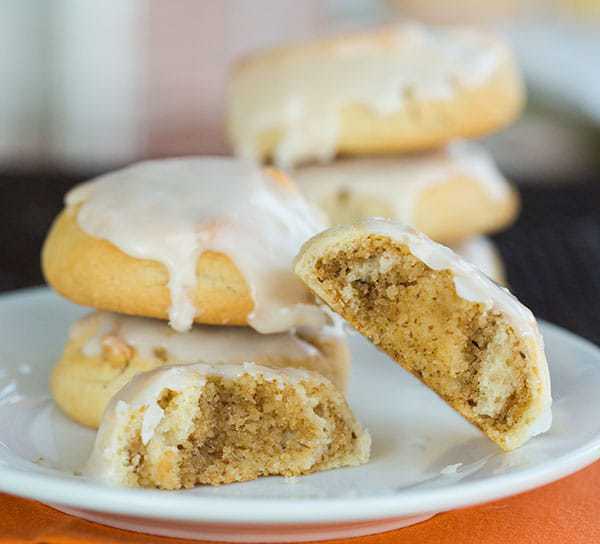 I love the pumpkin flavor in cake form and, OF COURSE, cream cheese frosting! 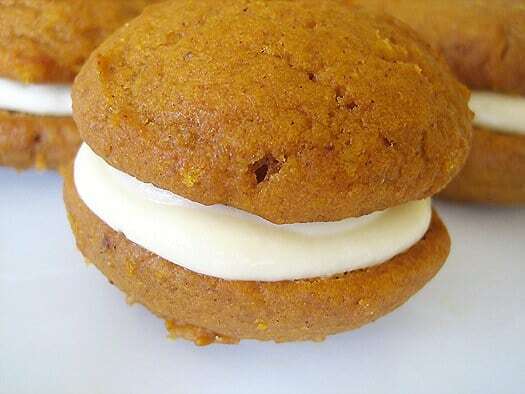 Whether you call them whoopie pies or gobs, these little pumpkin cookie cakes are sandwiched together with a maple-cream cheese frosting/filling. 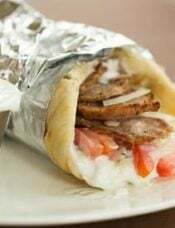 A massive, massive hit whenever they are served! 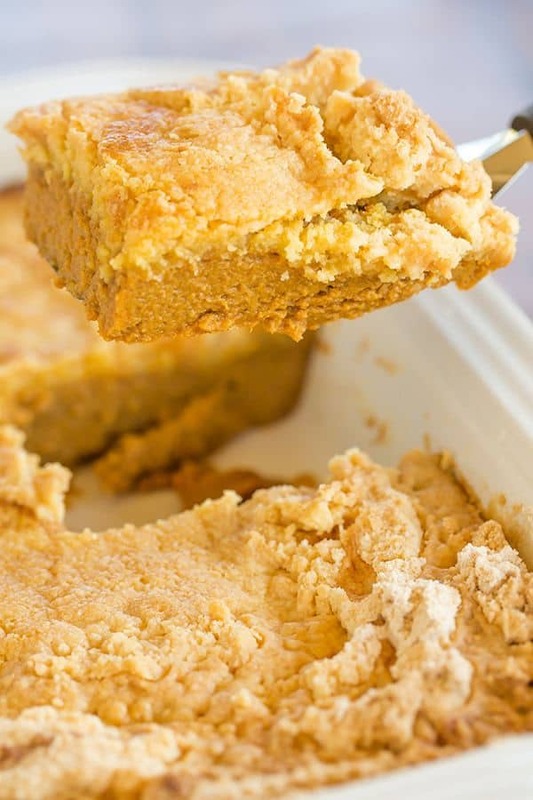 A classic pumpkin dump cake! An easy pumpkin filling is spread in a pan, covered with vanilla cake mix and drizzled with melted butter. 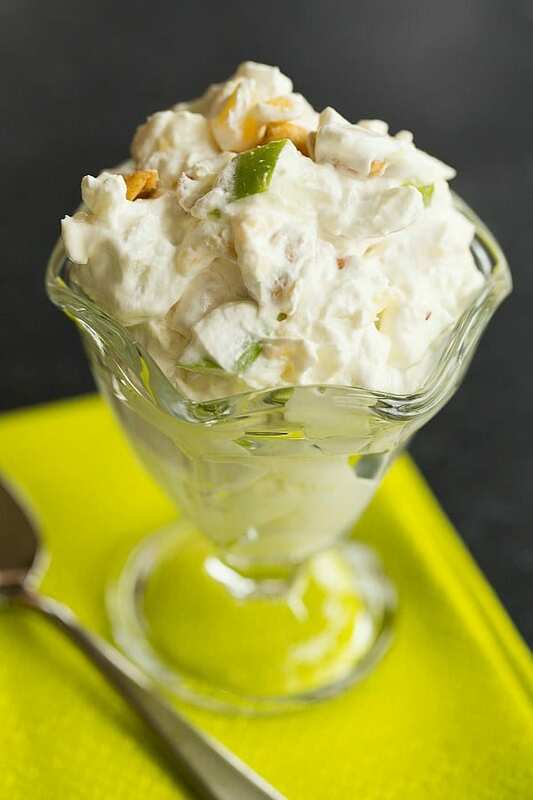 An incredibly quick and always popular dessert! The best of every single world! Graham cracker crust + homemade salted caramel sauce + cooked apples + pecans + cheesecake + fresh whipped cream = an absolute DREAM. 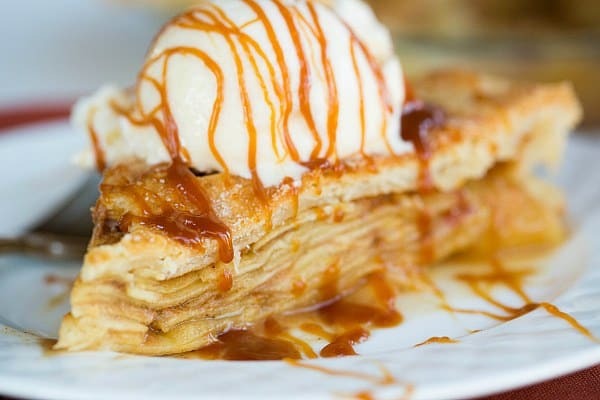 Traditional apple pie gets a kick of homemade salted caramel sauce – your apple pie will never be the same! 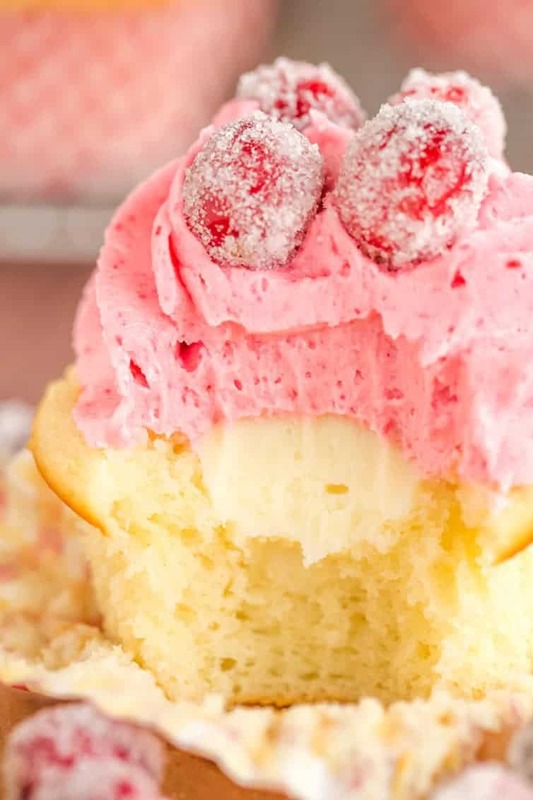 These soft and fluffy vanilla cupcakes are filled with a white chocolate ganache, then topped with a cranberry buttercream frosting and garnished with sugared cranberries. So festive! 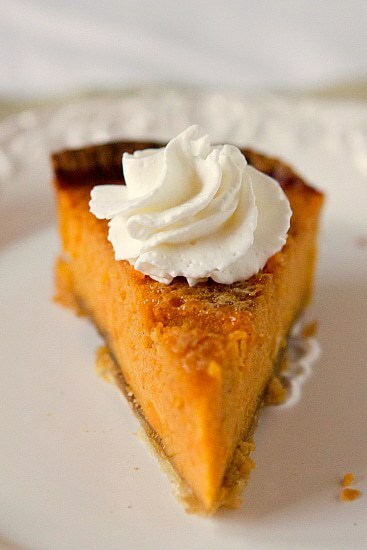 Are you team pumpkin pie or team sweet potato pie? I like both, but I think sweet potato pie gets an edge just due to the complex flavors, plus this version has a layer of brown sugar baked right on top of the crust. A sweet and salty spin on traditional ambrosia – in this version, we have miniature marshmallows, pineapple, fresh apples, vanilla custard, and salted peanuts. The combination of all the flavors is insanely good! No, we are not making cupcakes with ACTUAL TURKEY. But, how cute are these guys?! If you’re looking for a project to do with kids, this would be perfect! 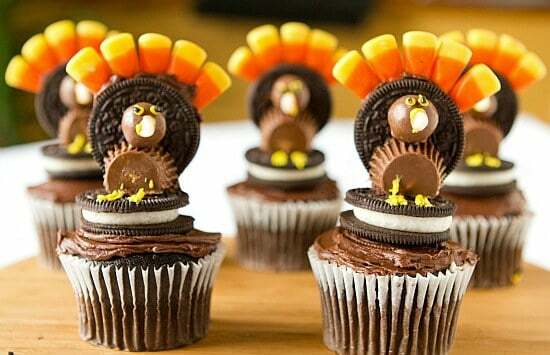 Chocolate cupcakes, frosting, Oreos, peanut butter cups, candy corn and Whoppers are transformed into *gobble gobble* turkeys! TELL ME! What are your MUST HAVE Thanksgiving desserts? I always like to have a couple pies – usually pumpkin and apple – and always spice cookies with pumpkin dip. Then I like to add in a cake. I’ve made the cranberry eggnog cheesecake and it’s delicious and well loved amongst my family and friends. I’ve also made the cranberry poundcake and it’s a hit as well. Both have beautiful pops of festive color on top of tasting so good! We usually host 25-30 people, so lots of desserts go over well. I love the variety of desserts you have!! We’ve been a small group for years and tend to prefer simple, classic desserts. One prefers pumpkin pie, another pecan, another apple crisp. One doesn’t really care if there are desserts at all, but will eat pumpkin pie. 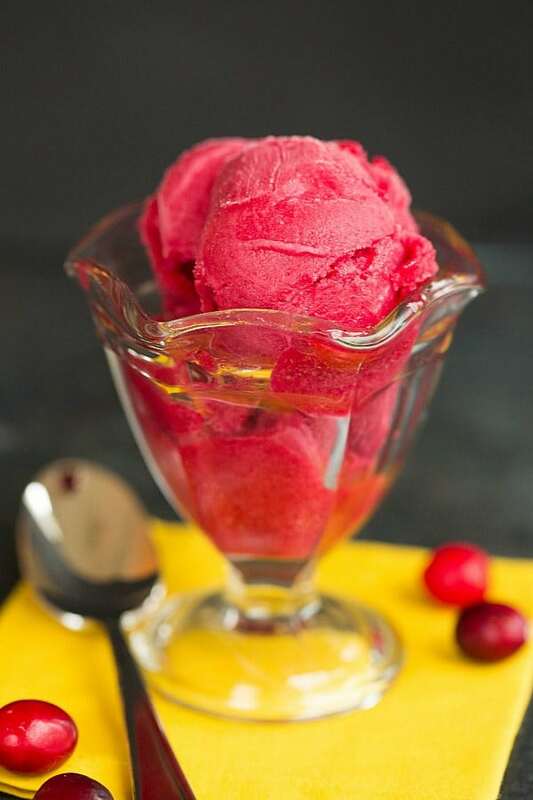 I sometimes make Cranberry Ice (https://www.myrecipes.com/recipe/cranberry-ice-0), which is similar to your Cranberry Sorbet, but more like a granita. Everyone wants to take home leftover turkey and side dishes, but no one wants leftover desserts. Hi Sally, That’s usually what happens here, too! 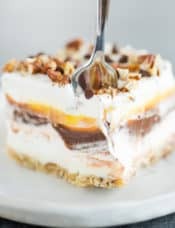 Everyone is so stuffed from dinner that they will take a small piece of dessert, but most will not take leftover dessert. For years we have been making your chocolate cream cream pie for special occasions and Thanksgiving. 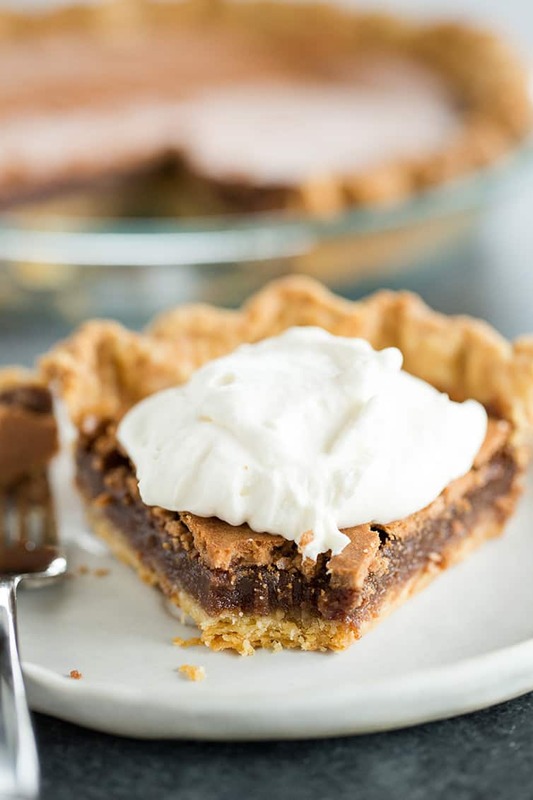 The only change we made to it was switching out the Oreo crust for regular pie crust to make it a little lighter. 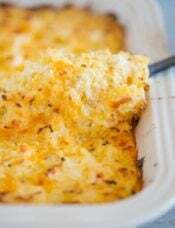 It has quickly become our family favorite as well as several other BEB recipes! That is such a delicious pie, I love that it’s become a tradition of yours! Oh my gosh, I love your menu! Bacon wrapped dates are always a HUGE hit here! Such a delicious collection of recipes! I don’t even know where to start ♥♥♥ Everything looks and sounds so good!